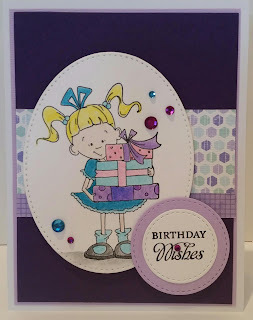 A friend is graduating from college in the next few weeks so I wanted to create a fun card for her. The papers from Pebbles were the starting point with a mix of pink and tangerine. The Treasured Words stamps from Verve provided a unique sentiment for the card. Inside it reads: Congrats You Deserve It. 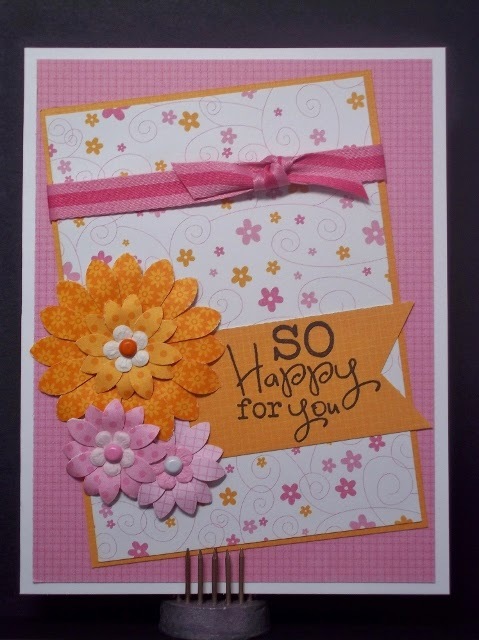 The flowers were made using Doodlebug papers and punches.